When will be Benelli Presents To Kill a King next episode air date? Is Benelli Presents To Kill a King renewed or cancelled? Where to countdown Benelli Presents To Kill a King air dates? Is Benelli Presents To Kill a King worth watching? 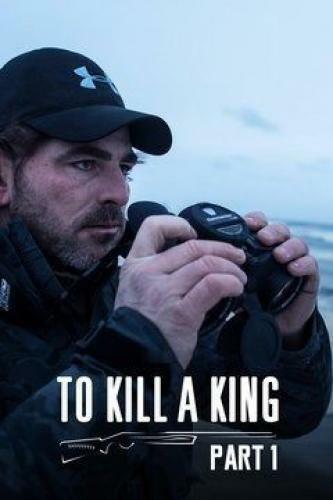 Benelli Presents To Kill a King (short title is To Kill a King) takes you on an incredible journey to one of the toughest water fowling environments known to man. Follow Tony Vandemore, Co-Owner and Operator of Habitat Flats, from his home in Missouri to the shores of the Bering Sea on St Paul Island in search of the King Eider. Located three hundred miles off the coast of Alaska, St. Paul Island is the most remote of the Pribilof Islands. Frigid temperatures, rugged seas, and extreme weather test the endurance of man and equipment. This two-part special explores an unforgiving region that few have experienced and takes you to the edge of the world on one of the most difficult hunts ever documented. In this two-part special event, Benelli takes viewers on an expedition to the far reaches of the Bering Sea. Facing the most extreme elements on earth, join Tony Vandemor on this remarkable journey. Benelli Presents To Kill a King next episode air date provides TVMaze for you. EpisoDate.com is your TV show guide to Countdown Benelli Presents To Kill a King Episode Air Dates and to stay in touch with Benelli Presents To Kill a King next episode Air Date and your others favorite TV Shows. Add the shows you like to a "Watchlist" and let the site take it from there.